The median debt per American household currently sits at $2,300 according to a combination of data from the U.S. Census Bureau and the Federal Reserve. Across the United States, most families are living with some type of debt. Student loans, auto loans, mortgages, and credit card debt are the most common types of debt the average family owes. While no one wants to deal with debt, it’s easy to handle debt repayment when you are only dealing with one loan or carrying a balance on one credit card. But, it can become increasingly stressful when you need to juggle multiple loans or balances, especially if they need to be repaid at the same time. How do you decide what to pay first and how much to pay? At O’Connor Portfolio Management Services, we help thousands of clients create a strategy for debt repayment that caters to their individual debt situation. Regardless of how much you owe, we’ve created a strategy that works best for almost all of our clients. Here’s how to determine what to tackle first when you have multiple debts to pay. Before you decide how much to pay on each of your debt balances, and which to tackle first, you need to have a complete and accurate outline of everything you owe. If you have a lot of debt it might be a scary thought to actually sit down and look collectively at all you owe. But, it is necessary and extremely important to do so. Until you are fully informed about your financial situation, you can’t repay your debts in a strategic fashion. Begin by making a list of everything you owe. Create columns that identify who the debtor is, what type of debt it is, the balance of the loan, the monthly payment due, the interest rate, and the due date. Next you should prioritize the items you have listed. This can be done in one of two ways. Either create a list by the highest interest rate to lowest interest rate or by the lowest balance to highest balance owed. The right way to pay of your debt depends on how you feel about it. Mathematically speaking, the best way to tackle debt is to address the accounts with the highest interest rates first. These accounts are better to pay off sooner because they end up costing the most money in the long run. Some clients find debt to be more than a financial problem. Others find it to be linked to an emotional issue as well. If having multiple opened loan accounts brings you down, you may benefit from paying off your lowest balances first. This often creates a chain reaction because paying off one balance can motivate you to continue paying off your debt. Even though focusing on paying off smaller balances first may cost you more in the end, staying motivated to pay may be a better strategy for your debt repayment. If your overall goal for debt repayment is to place yourself in the best financial situation, you should pay off your highest interest rate debt. But, just because your plan is to pay off the highest interest rate debt first, doesn’t mean you stop making payments on other debts. To place yourself in the best financial spot, you need to pay at least the minimum payments on all of your loans so you don’t default on your debts. Pay off your highest interest rate debt. Simultaneously make minimum payments on all your other debts. Pay off your second highest interest rate debt. Simultaneously make minimum payments on all your other debts. Pay off your car loan. Take whatever monthly payments you were making on your two highest interest rate debts and apply it to your auto loan balance. This allows you to pay more than the minimum due. Simultaneously make minimum payments on all your other debts. Once your care loans are paid off, pay off all student loans. Take the total amount you paid on a monthly basis to your two highest interest debts plus your monthly auto loan and add that to your monthly student loan payments. Continue this until your student loans are repaid while simultaneously making all minimum payments on your other debts. Following this strategy will leave you with only one major debt-your mortgage. When it comes to paying off mortgage debt, the question becomes how much of your money should you put towards your mortgage and how much should you invest. Since mortgages come with much lower interest rates than most debts, they are actually considered good debt. Mortgages can be used to further build your credit and build equity in your home. Plus, most mortgage payments are tax deductible. For these reasons, many people choose to invest some of their money when all other debts have been paid off rather than paying off their mortgage right away. Since a number of factors go into considering this topic and choosing the right option that works for your family, it’s best to evaluate your options of paying off your mortgage or investing your money with your financial advisor. 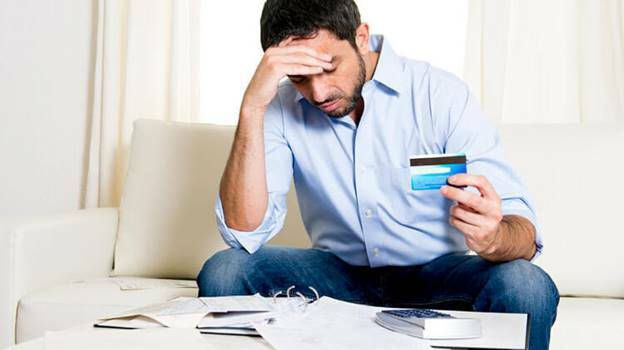 Debt can be a difficult stressor to navigate. When our clients create a plan, analyze the types of debt they have, and prioritize repayment choices, they have been successful in managing and paying off all their loans and debt balances. Use the advice we’ve outlined above and you can be debt-free and have a clearer, less stressed mindset as well!